The 2019 Fiat 500X facelift gets major updates on the exterior, while continuing with the same powertrain under the hood. It's been a while since Fiat updated the 500X and it was in dire need of a mid-cycle refresh. 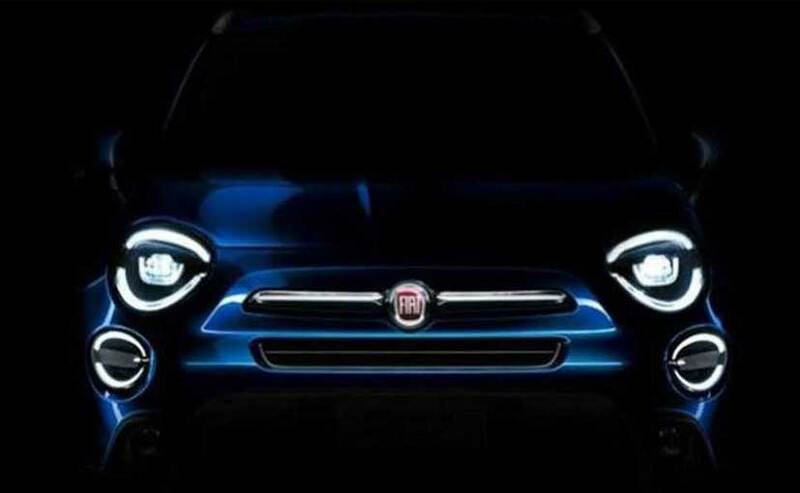 And the Italian carmaker finally heard our voice, and has now teased the 2019 Fiat 500X Facelift ahead of its launch in October. While the teaser image does not speak much about the facelift, but we do know that it is refresh and not a full-blown facelift as such. Nevertheless, the 2019 Fiat 500X facelift gets major updates on the exterior, while continuing with the same powertrain under the hood. But, the question remains, will the 2019 Fiat 500X will only be a facelift or will the company introduce it in a completely new platform is still unclear. Visually, the 2019 Fiat 500X facelift gets its biggest change upfront in the form of new headlight structure. The two thin LED strips surrounding the main light fixture now has an premium look and feel to it. Moreover, the 2019 Fiat 500X also boasts of new LED DRLs while the fog lamp remains the same. The front fascia too is redesigned to give a more premium and contemporary look to it. Other than this, the company has not revealed any more details of the 2019 Fiat 500X, and we will have to wait for a little longer to get any definite details. Also Read: Fiat Chrysler Looking To Block Mahindra Jeep Knock-Off In U.S. Under the hood, we expect the 2019 Fiat 500X to continue with the same tried and tested powertrains. Considering the 2019 Fiat 500X facelift is based on the same platform, the 1.0-litre, three-cylinder turbocharged engine will churn out 118bhp of max power and 190 Nm of peak torque. The other option will be 1.3-litre four-cylinder turbo with the ability to churn out 148 bhp and 177 bhp along with 270 Nm of torque.